I had to laugh a little, though. I think I’ve proven I have little will power this year....I am not a good role model. 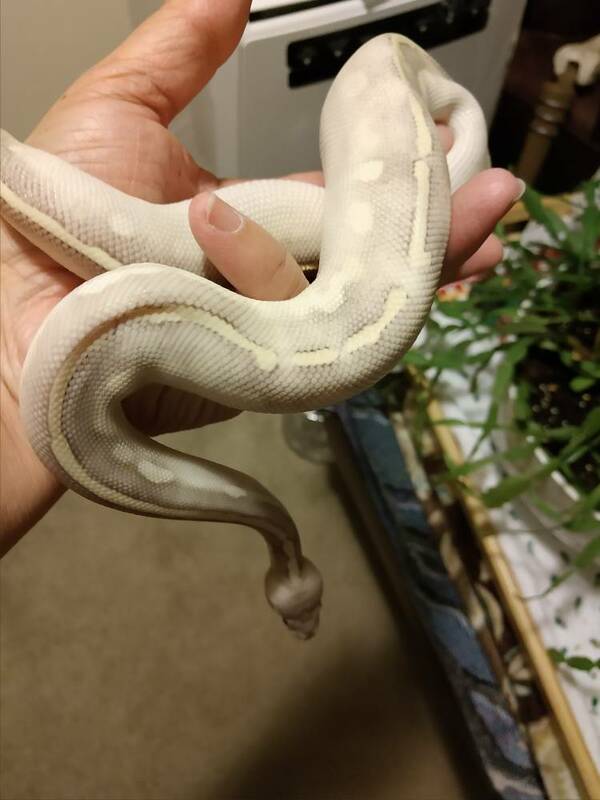 On the plus side, I’ve gotten some of the morphs that I really love and wanted. This guy was a local opportunity I just couldn’t pass up. I had been looking at mystic potions on MM off and on for a while, but really preferred the lighter colored versions which don’t show up as often. 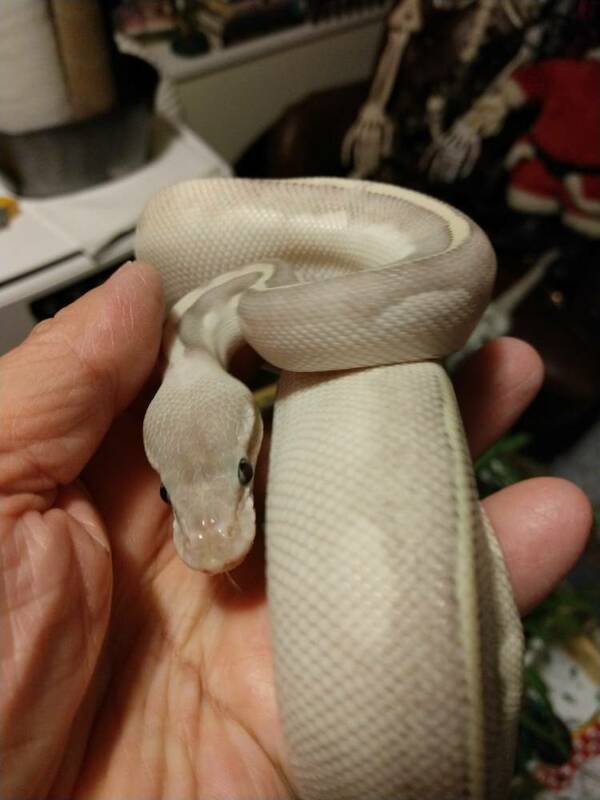 Because of purchasing Selene and planning for the one in early 2019, I pushed the thought for any additional animals to the back burner...then Loki happened. Best laid plans and all that. I’ll be ordering another cage and rhp in the next few weeks, and already have the thermostat on order. Everyone will have their own digs and plenty of room, and 15 is still a managable number to feed, clean, house, and handle...though the last part is more for my pleasure than theirs. Dianna, you have gorgeous animals and you have already proven what a great home you give them all. Get all the animals you want, I say Each and every one of them is a fortunate animal to have landed with you..
Oh Dear! You really are an enabler! LOL. Aside from the one additional bp I have planned, the only other serious consideration right now is a gtp for Mom, but I’m not ready for that leap yet. It’s one thing to wish for one, but entirely different to get a more delicate species and keep it from a distance. Mom is only a 1/2 hour away, but that isn’t a drive I can make daily and she isn’t experienced in keeping snakes...that’s always been me. I plan to research more, get the set up and automate it as much as possible, then tweak it until it’s ready for the animal....assuming we move forward. GTP's can be great !! Also do your homework about the breeder and then don't be shy to talk to them. If they aren't willing to let you pick their brain, just stay away. You want someone that is going to help you to pick the right animal, and be there for you afterwards if you have questions or concerns. As long as your mom is happy with it being mostly a display snake, all is well. You can set them up so beautifully, it really is eye candy. They are incredibly fragile when young, so it helps to have removable perches. If you have to remove them to clean, you can sometimes just take the whole perch with them on it, set it down nearby, do your work and then put them back in. Mine rarely moved from that branch when I did that. They are a lot of joy. As long as you help your mom to set the snake up correctly, dial in all the husbandry and teach her to do basic maintenance it will be easy. Most GTP's won't even move while you clean the cage or change water UNLESS you do it in the evening/night. Then its best not to do it at all, haha. That is time to hunt. Still not handling this little guy much unless I need to clean his tub. Took him out for a few minutes after I did that tonight. 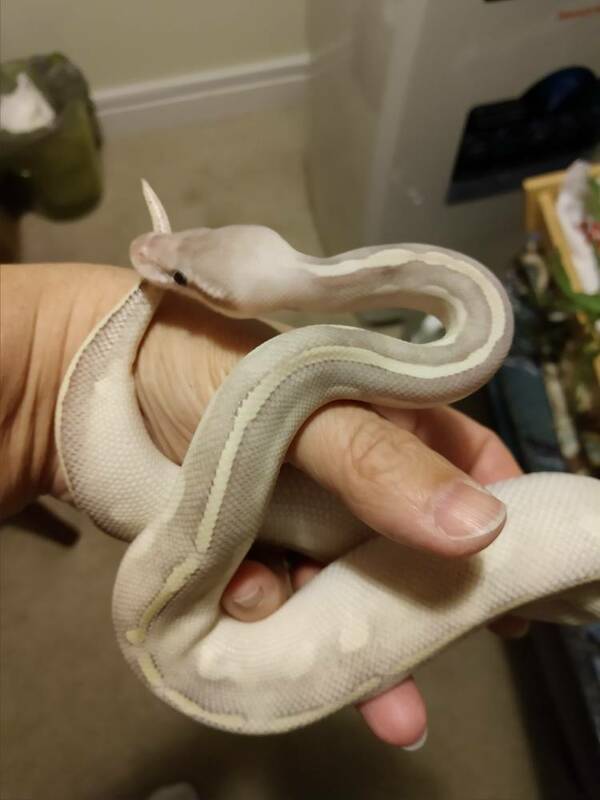 I'm looking forward to seeing how his colors change as he grows. Lighter or darker, I think he'll be a pretty boy. 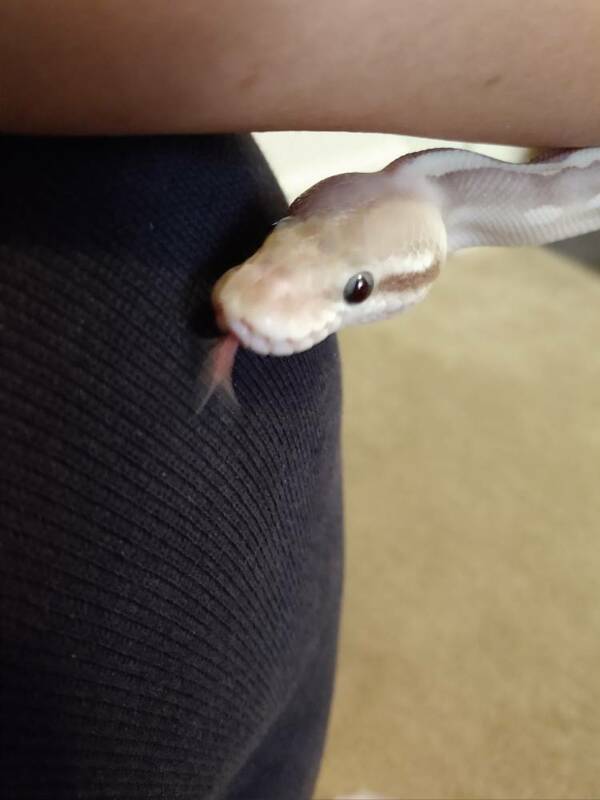 Loki was feeling a bit shy today. I'm still limiting handling to the days I clean his cage, as I want to be sure he is eating and growing. I'll have years to handle him if all goes well. He's normally quite inquisitive once he is out, and did start cruising around after a couple of minutes. 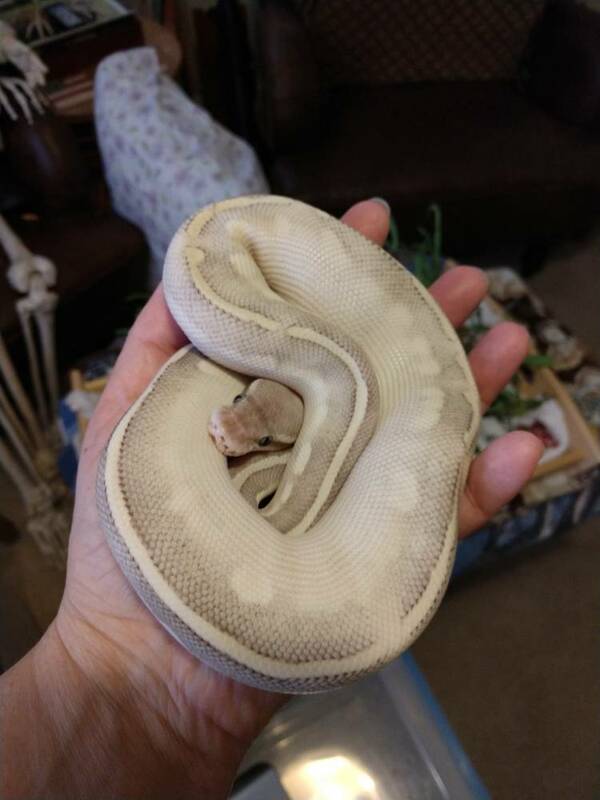 When I got him on 12/30/18 he weighed in at 218 grams. Today he weighed in at 264 grams. These little ones are making up for my adults that are still fasting. The addiction is real. I am not allowing myself to purchase anything else this year. Boy is that hard to live up to. LOL. Working on enclosures and husbandry improvement and enrichment this year. Trust me with 10 I have my hands plenty full.